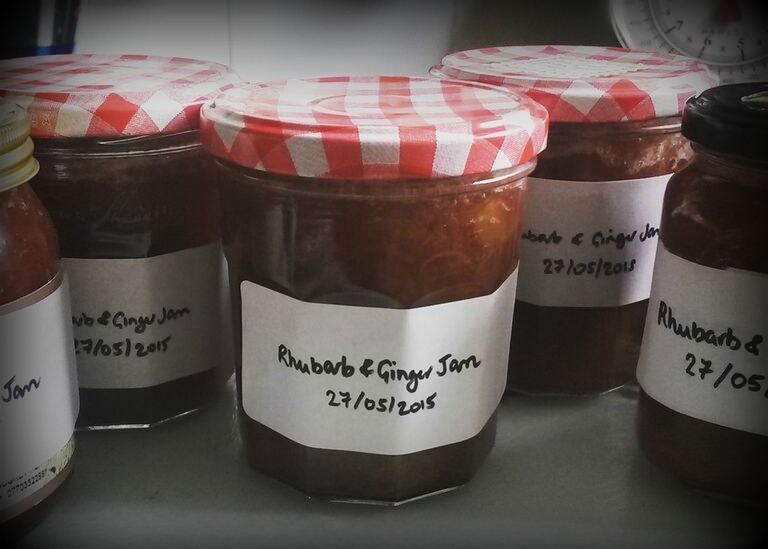 We’re loving the rhubarb just now! Aside from the pretty pink splashes of colour it provides in the garden and up on the plot, it’s so delicious! 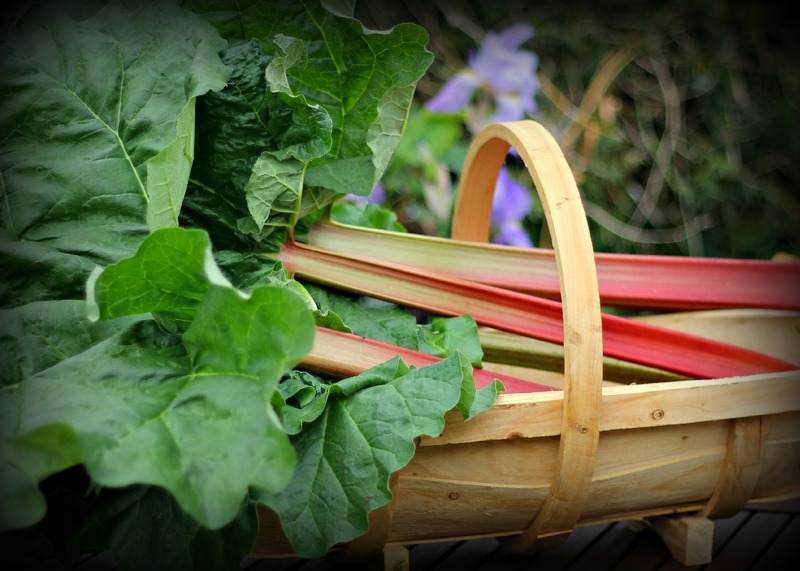 There isn’t that much we can harvest at this time of year, apart from the salad leaves which are coming through nicely in the polytunnel, so we’re revelling in the rhubarb as best we can! What are you marking with your rhubarb? Any recipe recommendations? I roasted 500 grams of rhubarb with about 75 g of brown sugar and when it was cool pureed it in the liquidiser. We then put a teaspoonful in the base of chilled glasses of prosecco and it was very delicious and turned the wine a pretty pink. The first time we made this it looked cloudy and fibrous in the glass so we experimented and concluded that pureeing and pushing through a sieve is essential but worth it. It’s interesting to see that Sweet Cicely can sweeten rhubarb – does that you don’t need sugar with it? I don’t know if it replaces the sugar entirely, that’s certainly something to check! Maybe a mixture of honey and Sweet Cicely would be a good alternative to sugar. Yes, possibly. Just been for my work day at the farm I go to once a month, where they are growing Sweet Cicely and it tastes lovely by itself but I think you might need some sugar or honey still with rhubarb. Ah.. that’s good to know Helen. I’m really not familiar with Sweet Cicely at all. Hope you’re having fun doing your monthly farm trip!